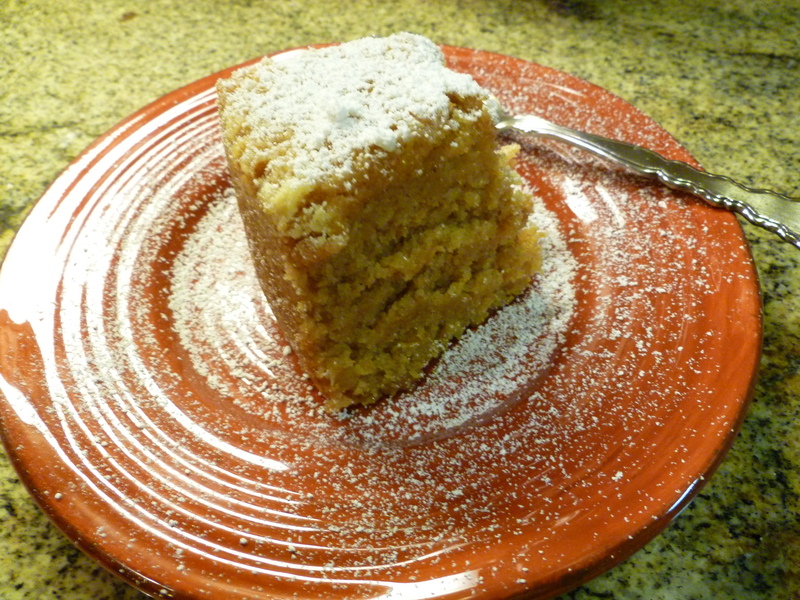 The original recipe for this cake was given to me by a dear Brazilian friend, Marta Caputo. This cake is super moist and light . It will please everyone. It is perfect with a cup of coffee or tea.. enjoy! 1 and 1/2 cup of Brown sugar. 3/4 cup of sunflower oil or coconut oil. 1 cup of orange juice divided in two parts. 1 cup of cake flour . 1 cup of whole wheat flour. 3/4 cup of applesauce. ( the applesauce substitutes the eggs ). In a blender , food processor or cake beaters, mix apple sauce, sugar, oil, half a cup of orange juice and orange zest. Transfer to a bowl and flour and baking powder. Place dough in a floured Bundt cake mold. Bake for 30 to 35 minutes or until fork comes clean from the center. Let it cool for 10 minutes and transfer cake to a serving platter. Mix the other half or orange juice with the raw sugar. 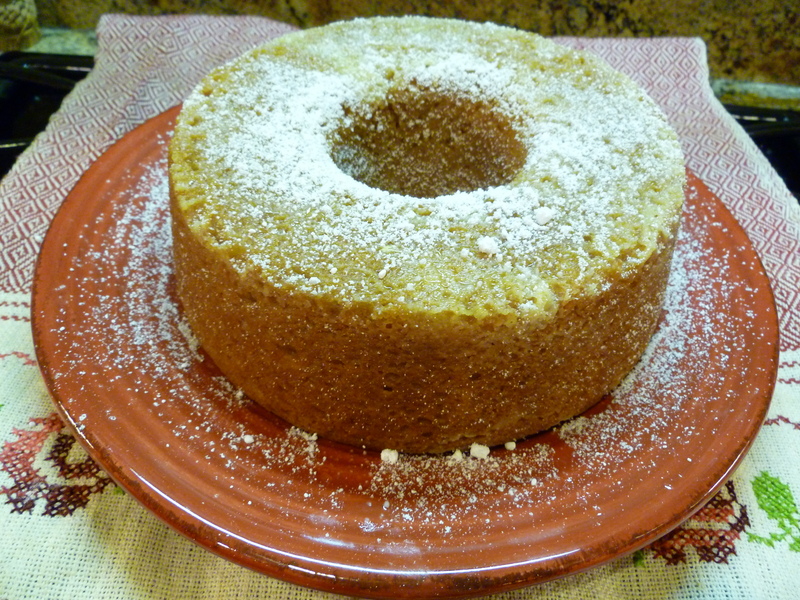 Prick the cake all over with a fork and drizzle the orange sugar all over perforated parts. Dust with powdered and sugar!